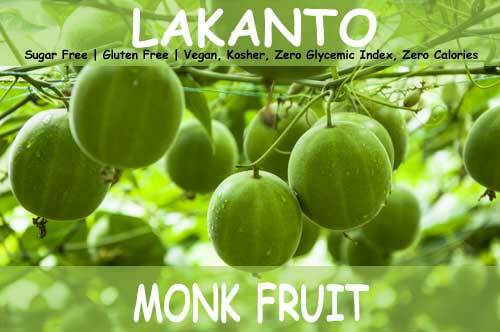 Lakanto Monk Fruit all natural sweetener with erythritol contains zero calories, vegan, ideal for weight loss, kosher certified, has zero impact on blood sugar levels, does not feed candida yeast and bacteria in your body and it tastes fantastic. The manufacturer of Lakanto has been hard at work creating healthy sugar alternative products. Eating healthy is easier than ever when you have these options. Browse our selection of Lakanto products like sugar free chocolate syrup, maple pancake syrup, hot chocolate, Lakanto Classic (white), and Lakanto Golden sugar replacement. These all natural products are truly a game changer for anyone that cannot tolerate sugar or someone looking for healthier sugar alternatives. These products will help you create delicious and healthy meals and treats for your family.